Hotel Sovereign is situated in the heart of Daman town close to the beach and just at walking distance from city's shopping & commercial center. Hotel Sovereign is one of the best hotels in Daman to enjoy a stay filled with fun and frolic for which the city is so famous. The hotel is one of the renowned hotels in Daman that offers great facilities and warm hospitality ensuring the best comfortable stay. 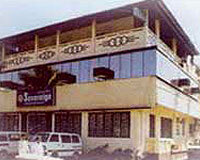 Hotel Sovereign is close to various tourist attractions and the beaches of the city making it an exciting destination to enjoy Daman. 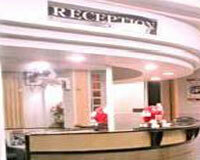 The hotel is located within easy access to the various modes of transportation in the city. 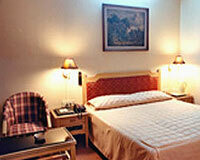 Hotel Sovereign offers 23 well appointed rooms that are well-furnished and equipped with spilt air conditioners, wall to wall carpet, two channel music, multi channel color TV, STD & ISD direct dialing, running hot & cold water, room service with special midnight menu. 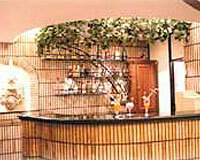 Pithora: A specialty vegetarian multi-cuisine restaurant serving Indian, Chinese and Continental menus. 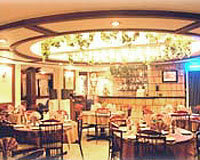 The restaurant also serves special seafood menu.